By the second half of this century, according to the pact, there must be a balance between emissions from human activities such as energy production and farming, and the amount that can be absorbed by carbon-absorbing "sinks" such as forests or storage technology. Developed countries, which have polluted for longer, must take the lead with absolute emissions cuts. 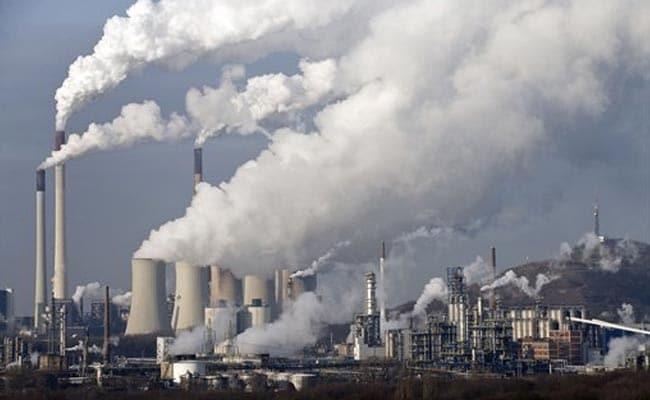 Paris, France: On December 12, 2015, 195 countries gathered in the French capital to conclude the first truly universal climate treaty, the Paris Agreement, aimed at preventing the worst-case scenarios of global warming. On Wednesday, US media reported that President Donald Trump was poised to announce the United States' withdrawal from the pact, which took nearly two decades of often-acrimonious bartering and much give-and-take to conclude. The Palestinian authorities have since also signed the agreement, which has now been officially ratified by 147 parties and entered into force in record time on November 4, 2016, when it crossed the threshold of 55 ratifying parties representing 55 percent of global greenhouse gas emissions. Even without the US, which ratified the pact under Barack Obama in September 2016, the 55/55 threshold is met. Nations agreed to hold global warming to "well below" two degrees Celsius (3.6 degrees Fahrenheit) over pre-Industrial Revolution levels, and to strive for a limit of 1.5 degrees Celsius. The lower goal was a demand of poor countries and island states at high risk of climate change effects such as rising sea levels. But experts say even the two-degree ceiling is a tall order, requiring an immediate and deep reduction in planet-warming emissions from burning fossil fuels -- an industry with major influence in Washington. Based on voluntary emissions-cutting pledged by countries so far, the planet is on track for warming of about three degrees, many scientists say -- a recipe for possibly catastrophic floods, storms, drought and ocean-level increases. Without the US administration on board, the goal may move even further out of reach. The signatories will aim for emissions to peak "as soon as possible", with "rapid reductions" thereafter. Developing nations, which still burn coal and oil to power growing populations and economies, are encouraged to "continue enhancing" their efforts and "move over time" towards absolute cuts. In 2018, and every five years thereafter, countries will take stock of the overall impact of their efforts to rein in global warming, according to the text. It "urges" and "requests" countries to update their pledges by 2020. Some nations, including the United States, set emissions-curbing targets for 2025, others for 2030. Both categories are meant to be updated every five years. Rich countries are expected to provide funding to help developing countries make the costly shift to cleaner energy sources and to shore up defences against the impacts of climate change. Donor nations must report every two years on their financing levels -- current and intended. In a nonbinding "decision" that accompanies the agreement but is not included in it, the $100 billion (89 billion euros) per year that rich countries have pledged to muster by 2020 is referred to as a "floor" -- meaning it can only go up. The amount must be updated by 2025. According to an OECD report, pledges made in 2015 alone would boost public climate financing (excluding private money) to $67 billion in 2020. But Trump has hinted that the United States, which had pledged $3 billion towards the Green Climate Fund, of which it delivered $1 billion under Barack Obama, will not honour its financing commitments. The agreement makes provision for parties to withdraw, but notice can be given only three years after its entry into force in 2016. The actual withdrawal would take effect a year later -- meaning 2020 if the Trump administration uses this option. A country can also withdraw from the 1992 UN Framework Convention on Climate Change, under whose auspices the deal was negotiated. Withdrawal would take effect a year after notification.